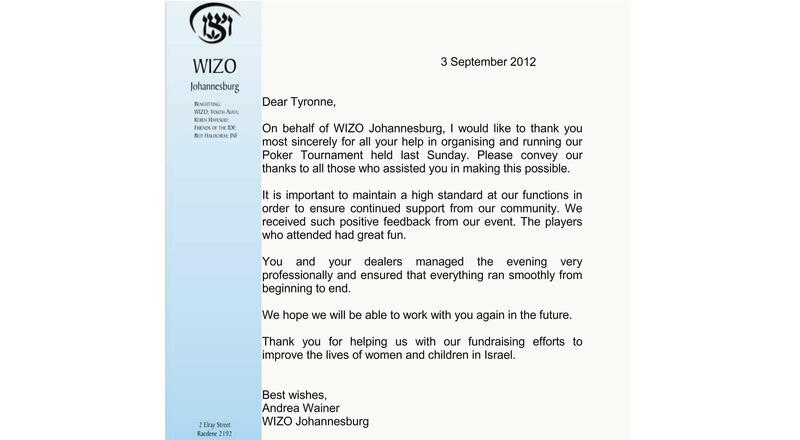 Thank you very much to yourself and the Poker Club for the outstanding events you ran for us for Bidvest and for the Omni Group. The poker talk you gave to the groups were outstanding, insightful and rich with information relating to poker and business. The tournament you ran for the groups were a lot of fun with many of the delegates wanting to continue into the early hours of the morning. I would have no hesitation recommending your Poker Club to clients in the future.